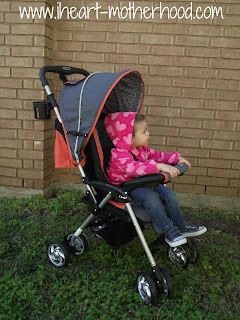 It's Day 26 Of #StrollingIntoSpring & Today I Am Strolling With The Combi Cosmo Stroller In Sunset Scribble! 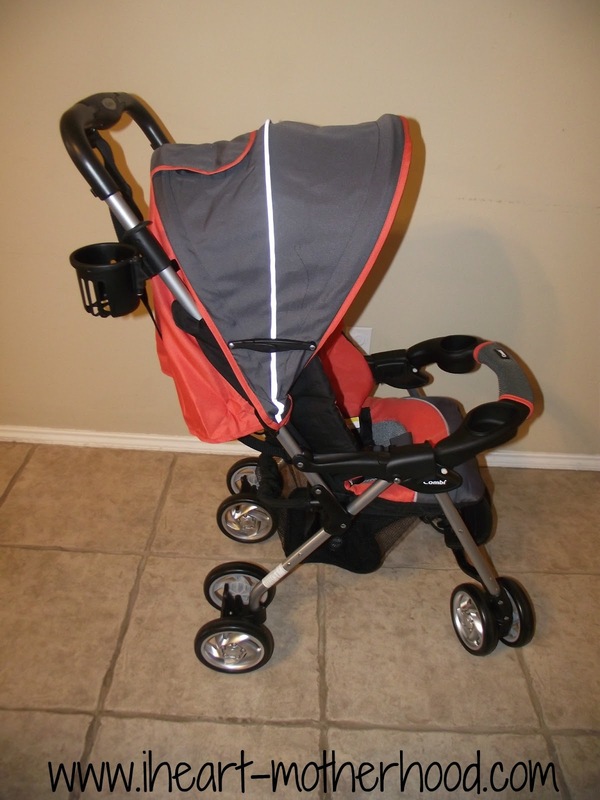 This Lightweight, Compact & Portable Stroller Is Easy To Use & Provides Comfort & Convenience For Mommy & Baby! Taking It Out Of The Box There Are A Few Pieces You Have To Put Together Yourself But Don't Worry, No Tools Are Required! 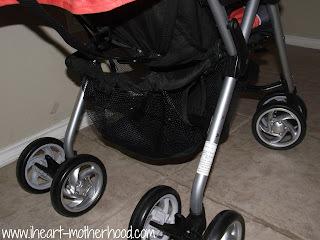 :) Once I Had The Attachments & Wheels In Place, It Took Just Seconds To Open Up & We Were Ready To Stroll! Your Little One Will Be Able To Relax & Ride Comfortably With A Wide, Reclining Seat & Breathable Air-Mesh Fabric, Not To Mention The Seat Cushion Is Washable! 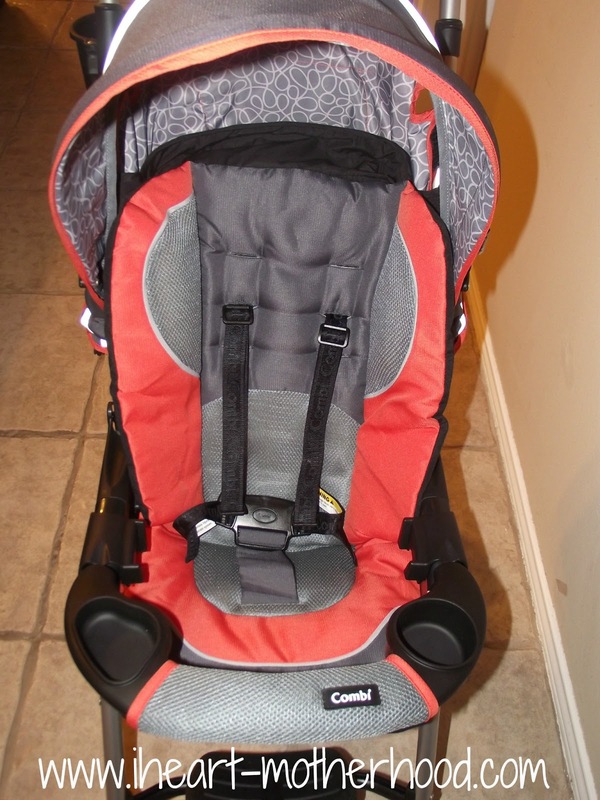 The Cosmo Has A 5-Point Safety Harness, Footrest & A Removable Padded Guardrail Containing A Cup &/Or Snack Holder! Living In Texas, The Weather Always Changes So It's Nice To Have The Option Of An Adjustable Canopy When I Need It & I Love The Viewing Window! We Always Keep Snacks & Drinks On Us When We Are Out & About, The Cosmo Has Room For My Drink & Little Sister C's Drink & Snack, Woohoo! 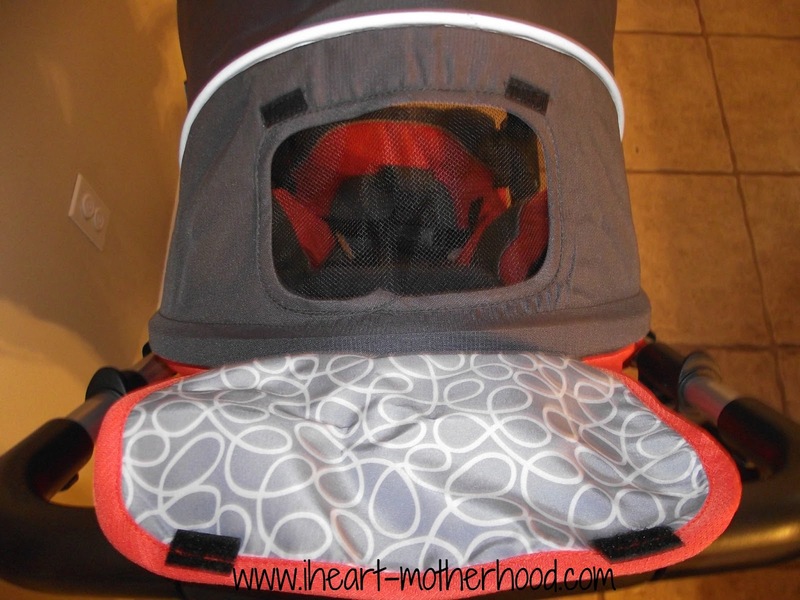 I Really Love All Of The Extra Storage, This Stroller Has A Storage Basket Underneath For Bigger Items Like A Backpack, Toys Or Blankets & A Smaller Storage Pocket For Maybe An Extra Bottle Or Your Keys! I Don't Carry My Purse With Me When We Go On Walks To The Park So It's Been Nice To Have Somewhere To Store My Keys & Cell Phone Besides My Pants Pocket! The Wheels Feature Brake Levers & Swivel Lock Levers, So When Your Parked, Rest Assure Your Stroller & Baby Aren't Going Anywhere With Out You! The Cosmo Is Great For Infants All The Way Up To Toddlers Who Weigh Up To 55 Pounds! It Is Compatible With The Shuttle Infant Car Seat & Turns Into A Travel System When Using The Car Seat Connectors! When Your Ready To Put Your Stroller Away, It Takes Just Seconds With Cosmo's Three Second Fold, Yup-You Read That Right! Just Lift & Hold The Folding Levers Located At Both Sides Of The Handles, Tilt The Stroller Back Toward You Onto It's Back Wheels, Roll It Forward Slightly & Pull Back Quickly. 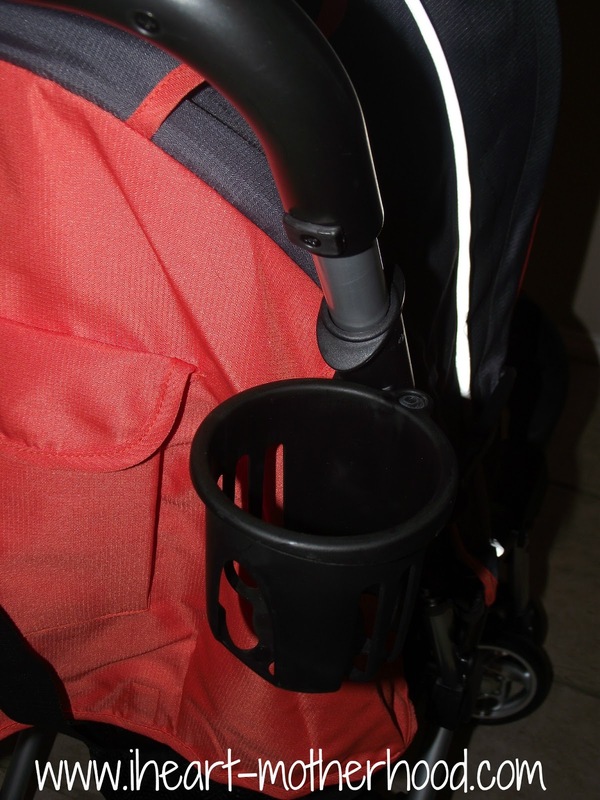 Turn The Handle Inward & The Sides Of Stroller Will Come Together & The Lock Latches. 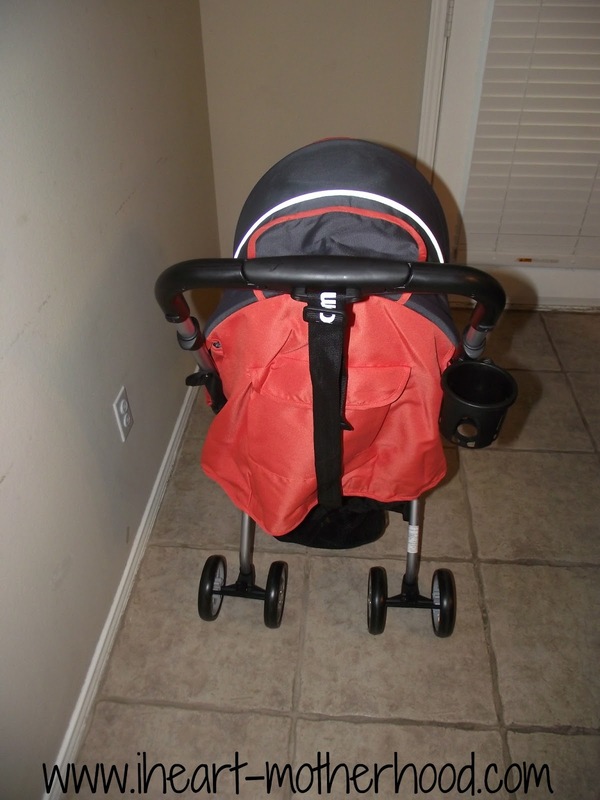 You Don't Need Much Space For This Stroller Either, It Is Self-Standing Or You Can Lay It Down If Needed! Buy It: Purchase Your Own Combi Cosmo Stroller Online! Win It: One Lucky Reader Will Win A Combi Cosmo Stroller! I'd love to also own the Bee Pod Bouncer. Our little Henry is due to arrive in June! It's so cute! I really like their Meal Time Set, too! 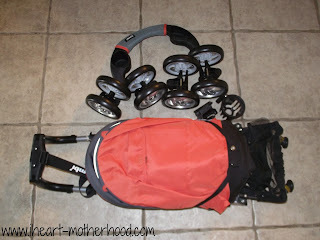 The All-in-One activity walker is another product I like. I would also love the Zeus 360° convertible car seat! I like the rock and roll walker. 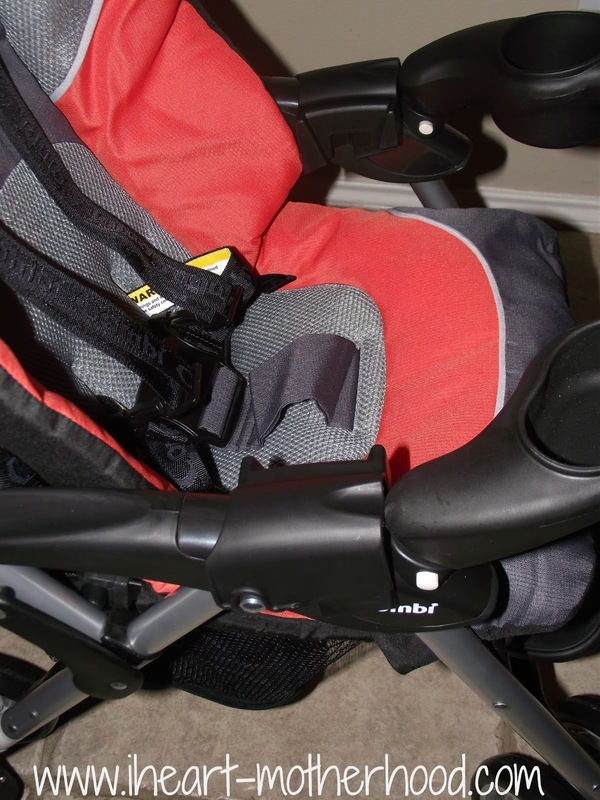 The Zeus 360° convertible car seat looks great, I really need a new one! I'd like the Zeus 360 convertible car seat. 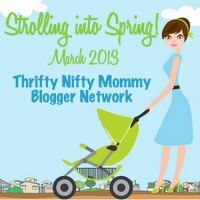 Oh I hope I win the Combi Cosmo Lightweight stroller! My big man is growing out of his stroller! Twin Sport stroller is something I would LOVE to have! The Zeus 360 is neat. I would like the Zeus 360° carseat. I like the mealtime set. I would also really love the pod bouncer. my son loves to bounce, and this one is so cool! I like the Coccoro car seat. 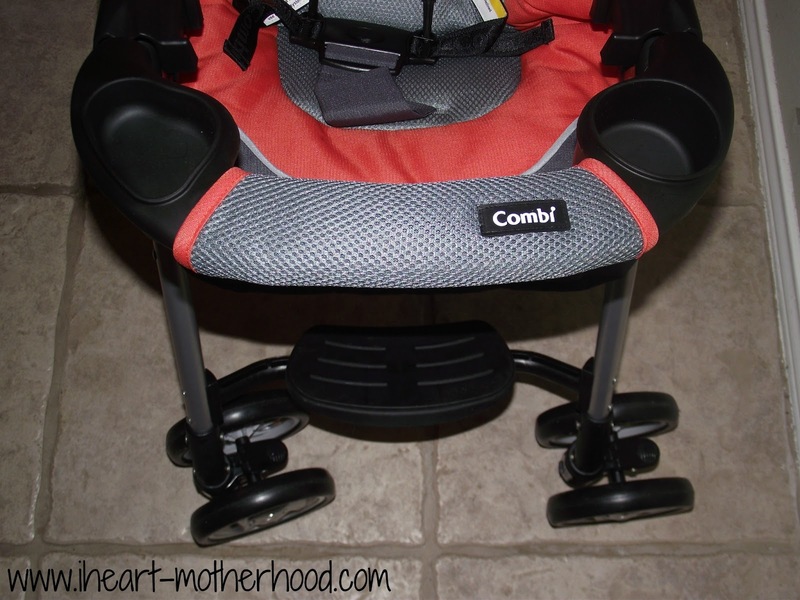 I visited Combi, USA and I would love to have the Zeus 360 car seat in Chestnut. I really need a stroller but my grandson would like the bouncer since he is almost sitting up by himself. Adorable! I could definitely use this stroller. 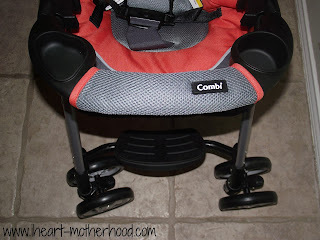 I would also love the Combi Coccoro car seat! Id love to try their Pod Bouncer! The Kobuk Air-Thru™ booster seat would be awesome! i would love the Coccoro car seat! I would love to try the Feeding BPA-Free Mealtime Set. the Pod Bouncer is really cute! I would like the meal set! I like the Coccoro car seat for my mom's car, my son is outgrowing the infant seat and she watches him while we work! 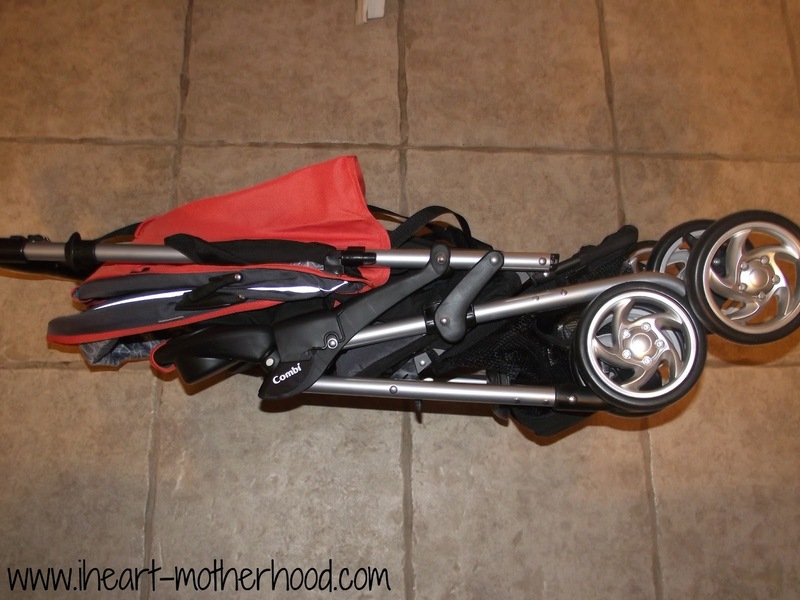 Would love the Combi Catalyst stroller! I would love the Catalyst! I'd love the twin sport. I would love to have the Lady Bug Pod Bouncer! I would like the Rock N Roll Walker. I'd love to get the Kobuk Air-Thru car seat for my oldest! I love the Pod Bouncer! I absolutely love the ladybug pod bouncer! 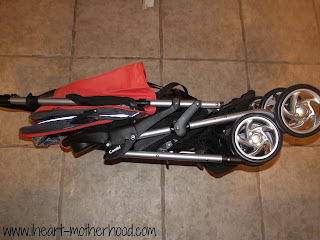 I would live the catalyst stroller! I'd also love to have the All-in-One Activity Walker! I would really like to try the catalyst after reading your review. I went to Buy Buy Baby with the intent of getting it, and a worker there said she hated that one, so I got a different stroller. I like the Rock N Roll Walker. I like the Zeus 360°. 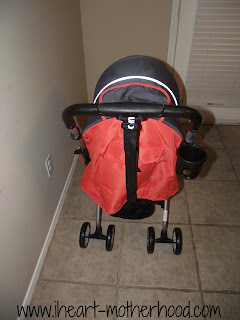 I'd like the cataylst stroller in red!! 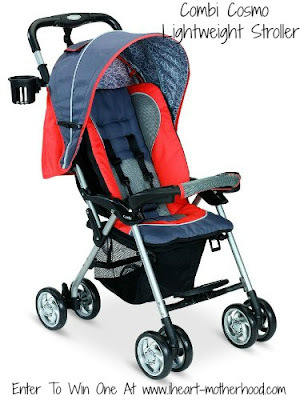 I would love the weather cover for strollers. The weather changes dramatically where I live. 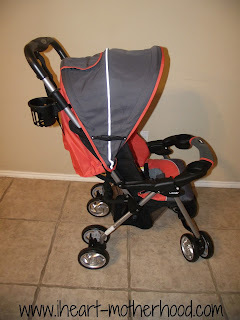 I also like the Cabria stroller. The Rock N Roll walker! I'd love the red pod pouncer! The catalyst stroller would be awesome! The all in one activity walker is to die for! The weather cover for the stroller would be great! The weather cover for the stroller would be handy! I love the Combi Catalyst stoller. Looks so stylist and fits the daily needs as well. Thanks for the giveaway.